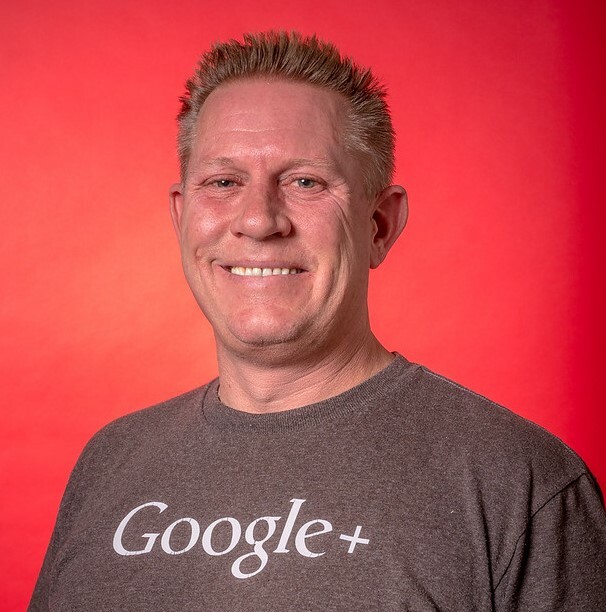 Tim Capper is a well-known expert operating within the local SEO space, and has been considered a great asset to the Google My Business forums where he’s a Google Product Expert and voluntarily assists webmasters (and businesses) with their various problems, often Google My Business related. 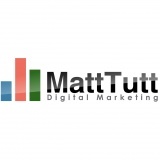 He began his career in hospitality before eventually running his own hotel from the beautiful Lake District in the UK – where he began learning more about online marketing before starting up his own SEO consultancy (Online Ownership). He regularly helps assist hotels with their search marketing problems including reputation management, SEO and PPC marketing. As someone who’s racked up a lot of experience within the search marketing industry, whilst also working with many hotels in the UK and Europe, I thought Tim would make a great first guest on my Q and A section! #1 – As someone who’s worked in local SEO for a long time now with a number of hotels, and with a great track record of helping other local businesses on the Google Webmaster Forums, what kind of areas do you feels hotels specifically should be focusing on if they want to improve their visibility and ranking? What’s the key focus in local SEO nowadays in your mind? Hotels should be focusing on their locality firstly whilst building up to the county type search queries. All too often hotels want to dive straight into appearing for “hotels in London”, “five star hotels in London” rather than focusing on their actual location and capturing these search queries, “hotels in Knightsbridge, London”, “five star hotels in Knightsbridge, London”. Your location should also be reinforced with correct structured data markup https://schema.org/Hotel and any additional offerings within the site, like restaurants, spa’s, gyms etc. Own your own location search queries before moving onto the vanity queries. #2 – I’ve noticed some hotels moving their focus from “traditional” content marketing strategies such as blogging, to focus on more trendy areas like social media marketing. Do you feel blogging is still worthwhile for hotels – or do other channels like social represent more potential? Social does work, however owners should be aware that these platforms are closed systems to Google and unless you are a high authority page, Google does not crawl these and therefore does not gain any semantic understanding of the property from these pages, it does however (unsurprisingly) crawl its own social platform G+. I would always recommend using UTM tracking on your social channels and posts so that you can quantify the engagement of your audience and understand which platforms produce better results. I personally will not be ditching the on site content because it, builds up the semantic understanding of the hotels location and what it offers to guests and visitors to the area. You can target specific search queries for local events, attractions and the area. Take the time to understand why your guests are visiting your property and then create content that satisfies the guests intent. Remember content does not have to always be written content, it can also be video, maps, interactive guides. #3 – What are some of the first checks you’ll make when onboarding a new hotel client – for example one which is looking to improve it’s local ranking? I always want to make sure that I am reinforcing the properties location and its offerings and meshing these into the properties Google My Business listing. #4 – You’ve recently been quite vocal about your displeasure with Google in regard how they tend to treat hotels within their search and My Business platforms – something I agree with completely. What would you like to see them change, if anything? This could be a long list, but a starting point would be to allow “lodging Industry categories” the same marketing opportunities allowed to all other businesses within the Google My Business platform. Things like Google Posts, Events, Product Offers etc. Then moving onto the unicorn wish list would be control over which OTA’s are displayed within the KP (Knowledge Panel). #5 – Google’s relatively new “Q and A” feature within the SERPS could be seen as a further push to evolve Google’s Travel Guides feature. Do you have any advice for hotels on this particular feature – do they need to monitor the types of questions/answers? Or should they just “trust” the Local Guides to provide good information? OMG, never trust Local Guides! Its your property and you should own this. Make sure you have the Google Maps app on your mobile and signed into the same Google account that the properties GMB listing is on, this way you get a push notification the minute a guest or user asks a question. As the owner, I would pre populate a list of all the typical question you get on a daily basis from guests, together with the answers. #6 – What can hotels do to capture more non-branded search (searches that don’t mention a hotel by its own name) – do you see more value in them shifting to more “low-funnel” traffic, perhaps even before someone has decided where they want to vacation? Or did you have any other ideas? This falls within my content answer, but yes. Your guests are there for a particular reason and you should be looking at content that satisfies these particular search queries. This is one area that you should be pushing and can actually turn the tables on OTA’s in search results. You could also be looking at One Box answers because of the specific nature of queries. 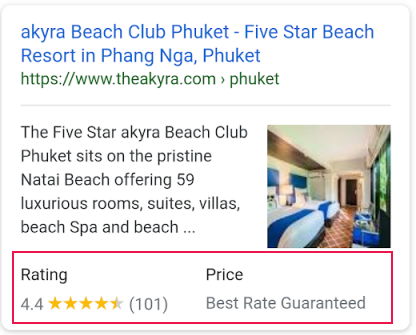 #7 – Talking about structured data with hoteliers can be a difficult part of SEO to explain the real benefit – so in terms of revenue and figures. How do you see the benefits of this markup tool, and are there any particular elements that hotels should focus on marking-up – or should they just focus on the typical NAP (Name, Address, Phone) type info? Structured data reinforces your property’s location to Google, you can also create a little bit more of search result real estate if you are using to your benefit. This should also include special offers and events. Every little bit creates an additional piece of visibility in search results. #8 – You’d probably agree that reviews are quite a critical part of any hotel’s local SEO strategy, as well as their overall online reputation. Do you have any advice on how hotels can continue to obtain reviews from guests – or any preferred tools which enable this? I typically advise clients to build this into the user’s journey. We send a, We Can’t Wait to Meet You email with weather details, 10 day forecast four days before their arrival. We then send the Thank You email a week after departure with feedback, would you like to receive updates and then links to review platforms. Build reviews into your email marketing and messaging. I even have a client that still does this old school with handwritten postcards sent after guests departure. #9 – With the rise in AMP adoption by many online companies outside of the news and media sector, for example AirBnB, do you feel this is a technology which other hotels should try adopting – or is it too early to say? A normal hotel, even small chain would not benefit from AMP, in fact a properly developed and structured responsive site can be even faster than an AMP pages, making them redundant and a waste of money and development time. #10 – Many hotel websites I tend to visit do like to include attraction guides, or “things to do” style articles, apparently targeting the generic “hotel near attraction/location” type organic searches. From what I’ve seen, these types of pages struggle to rank nowadays – due to the weighting Google gives OTA (online travel agent) sites and other travel guides. Do you think attraction pages are still worthwhile from an organic perspective? This is the one area that hotels still do have an opportunity against OTA’s. If your content is not ranking for queries, then look at your content, title, call to action and refine it. OTA’s given their size and business model tend to go after the top line queries, but fail miserably in the more focused space. This is your opportunity. #11 – You’ve racked up lots of experience working with various hotels to help with their search visibility online. What kind of things do you find hotels tend to struggle with most, in 2018? And what, if anything, do they excel in? Each hotel is unique and I tend to find them in various states depending on the skill sets available to them. The one things I find hotels lack understanding of is their GMB listing and maintaining and monitoring the small pieces they do have control of, namely Images, Reviews and Q&A. I also think some hotels tend to go down this minimalist look and feel too often, whilst forgetting that they do need to satisfy a users intent. You can still satisfy the users intent whilst keeping a great look and feel. #12 – As a method of improving search ranking for hotels, do you still feel that link building is as important as ever? Or do you feel it’s benefit has declined within the hospitality sector, likely because local SEO may have more value? I don’t tend to link build, I focus on providing and creating a great resource to users and guests which in turn gets shared and linked to. And typically most authority sites links are nofollow anyway, but you should still keep an eye out for opportunities when presented both online and offline – think Sunday Newspaper travel sections. #13 – There are a number of different tools and platforms out there which enable hotels to manage their NAP information to ensure consistency across the web. Are there any particular tools you recommend, or any preferred ways of managing it? I don’t particularly like tools, but I use Moz Local and SEMrush, I tend to prefer specific search operator queries to sniff these out. Please keep in mind that Google is pretty clever in understanding “inconsistencies” like, Street = St or Road = Rd. You have far better things to be doing then trying to get these corrected. Equally if you have included hasMap in your structured data, Google understands where your property is. #14 – It’s still early days regarding Google’s switch to the mobile-first index, but is there anything you’ve noticed for any hotels which have moved across – or any things hotels should look out for in advance? I have not had any of my clients move across in the hospitality sector yet. I have had a few other sectors move across and they all seem to be fine / no losses. Check your mobile version, I have seen reports of sites seeing large drops when their mobile version excludes large chunks of content. #15 – Looking ahead into the future of search for hotels, what kind of technologies/initiatives are you most excited about? Should VR/AR get more attention from hotels already? Anything else? I think VR/AR is a very long way off for a typical hotel. One thing I would start planning for is Voice Search. I think this will be used more and more often with hospitality queries. Thanks once again to Tim Capper of Online Ownership for taking the time out to answer my questions about search marketing for hotels. Got any follow-up questions you’d like to put to either myself or Tim? Or did you want to give your own feedback on some of the items we’ve covered above? Leave a comment below, or you can also direct them on Twitter to Tim or myself.